The British Academy of Songwriters, Composers, and Authors (BASCA) is one of the largest professional associations for music writers in Europe and exists to support, protect and campaign for the interests of songwriters, lyricists and composers. It represents music writers in all genres, from song writing to media, contemporary classical to jazz and has approximately 2000 members. BASCA exists to support and protect the professional interests of songwriters, lyricists and composers of all genres of music and to celebrate and encourage excellence in British music writing. The Composers Guild of Great Britain was founded in 1944 to represent composers of classical music, with Ralph Vaughan Williams elected as first President. The Songwriters' Guild of Great Britain, later known as The British Academy of Songwriters, Composers and Authors was founded in 1947 by Ivor Novello, Sir Alan Herbert, Eric Coates, Haydn Wood, Richard Addinsell and others for the encouragement and protection of British popular music, with Eric Maschwitz acting as the first Vice Chair, and Chairman in 1948, and again between 1954 and 1958. 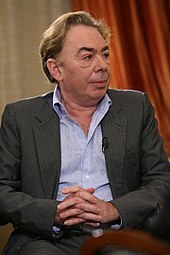 The Association of Professional Composers was founded in 1976 by George Fenton to represent composers of film and TV music. In 1958 the Composers' Guild of Great Britain began publishing the journal Composer, and also published a number of catalogs of available works. In 1967 the organisation, under the direction of Ruth Gipps, established the British Music Information Centre. In 1999 The Association of Professional Composers (APC) and the Composers' Guild of Great Britain (CGGB) merged with the British Academy of Songwriters, Composers and Authors to provide a single, more powerful amalgamated organisation to represent its membership. The organization's current name was adopted in March, 2009. Sir Tim Rice was elected first president, and Guy Fletcher and David Stoll served as joint chairs of a nine-member Board of Directors. Three executive committees were established to administer Pop and Theatrical Music, Concert Music and Media. BASCA now has four genre committees representing Songwriters, Classical, Jazz and Media composers. Members of BASCA include emerging songwriters and the United Kingdom's "most experienced and successful writers." A partial list of the past and present members includes David Arnold (fellow), Harrison Birtwistle, Peter Maxwell Davies (fellow), George Fenton, Guy Garvey, Howard Goodall, Annie Lennox (fellow), Elton John (fellow), and Paul McCartney (fellow). Rolling Stones members Mick Jagger, Keith Richards are members, as are Sting, Pete Townshend, Imogen Heap, David Gilmour, George Michael, Alex Turner, Benson Taylor, Chris Martin, Lynsey de Paul, Cathy Dennis, Kate Bush, Mika, Evelyn Glennie, Gary Barlow, Chrissie Hynde, Sharleen Spiteri, and Thom Yorke. BASCA is a member of UK Music, an umbrella organisation which represents the collective interests of the production side of UK's commercial music industry: artists, musicians, songwriters, composers, record labels, artist managers, music publishers, studio producers and music collecting societies. Songwriter Crispin Hunt became the chairman of BASCA in July 2016. In 1955 The Songwriters' Guild of Great Britain established the Ivor Novello Awards to honour excellence in British music writing. The award is considered to be "prestigious." In 1974 the Academy established the Gold Badge Awards for individuals who make outstanding contributions to Britain’s music and entertainment industry, sponsored annually by PRS for Music. The organization also presents the British Composer Awards for excellence in classical and jazz music, also sponsored by the PRS for Music and in association with BBC Radio 3. The Beatles have won 15 Ivor Novello Awards from the British Academy of Songwriters, Composers and Authors as well as 7 Grammy Awards. See also List of awards and nominations received by The Beatles. The organization provides pro bono legal services, insurance cover, model contracts, a tax helpline, professional development seminars and master-classes, online promotion, a collaboration service, networking opportunities, publications and newsletters. Central to BASCA’s campaigning agenda currently is the digital royalties campaign: The Day The Music Died. Through this vehicle, the organisation advocates for a fairer environment for songwriters and composers by addressing the major problem areas threatening the value and security of creators’ rights. • A 50/50 split in gross royalty income for writers from digital services (as in broadcasting). • A higher proportion of advertising income. • The removal of auto predictive fill in of illegal content with internet search engines (e.g. : Google searches and alerts). • The removal of safe harbour for active content platforms such asYouTube. • More transparency around non-disclosure agreements for writers so they clearly understand how and what they are being paid. 2015 saw a big victory for the UK Music industry after BASCA, the Musician’s Union and UK Music won an important copyright Judicial Review in the High Court. Through this procedure, they challenged the Government’s decision to introduce a private copying exception into UK copyright law without providing fair compensation to rights to rights holders (as required by EU law). Throughout the BBC's charter renewal process, BASCA focussed on speaking out about protecting the BBC (and its music services) from cuts. It made three formal submissions to government on the BBC including the DCMS public consultation. Many of BASCA’s members publicly supported UK Music’s #letitbeeb campaign, led by BASCA Fellow Sir Paul McCartney and gathered more than 10K signatures. BASCA has also responded to many European Commission’s consultations over the past few years including an investigation into the ‘Regulatory Environment for Platforms, Online Intermediaries, Data and Cloud Computing and the Collaborative Economy’. It remains a vital part of ECSA the European Composer and Songwriter Alliance. BASCA was also involved in the process to select the United Kingdom's entry in the Eurovision Song Contest. ^ "The Response of the British Academy of Composers Songwriters and Authors to the call for evidence of the independent review of intellectual property and growth" (PDF). Ipo.gov.uk. March 2011. Archived from the original (PDF) on 2012-03-01. Retrieved 4 February 2012. ^ "Eric Maschwitz". Spartacus-educational.com. Retrieved 17 November 2017. ^ Leach, Ben (14 April 2010). "Spotify accused of ripping off artists amid claims it pays just £100 for a million plays". Daily Telegraph. Retrieved 4 February 2012. ^ Harry, Bill (2000). The Beatles Encyclopedia: Revised and Updated. London: Virgin. ISBN 978-0-7535-0481-9. ^ "The Beatles Inducted to the Walk of Fame". Hollywood Walk of Fame. December 25, 1998. Retrieved 19 February 2012. ^ "Interesting Facts About The Beatles". Wanttoknowit.com. Retrieved 2013-06-27. ^ "Petition to BBC". Bbc.co.uk. Retrieved 4 February 2012. ^ "British Academy of Songwriters, Composers and Authors". Unsignedbandreview.com. 18 May 2009. Retrieved 4 February 2012. ^ "BASCA Digital Royalties Campaign – The Day The Music Died". Basca.org.uk. Retrieved 17 November 2017. ^ "High Court Judgement" (PDF). Judiciary.gov.uk. 19 June 2015. Retrieved 17 November 2017. ^ "Let It Beeb". Ukmusic.org. May 2016. Retrieved 17 November 2017. British Academy of Songwriters, Composers and Authors (1968). 60 years of British hits, 1907–1966 / The Song Writers' Guild of Great Britain. London: Song Writers' Guild of Great Britain. p. 127. This page was last edited on 18 December 2018, at 09:39 (UTC).